ISTANBUL, March 27 (Xinhua) -- As soon as she took her seat in a coffeehouse in central Istanbul on a recent afternoon, Zerrin Ertek lit up one. She seemed very confident while taking puffs on the cigarette. Smoking is a common sight among women in Istanbul and many other parts of Turkey, where 41 percent of men and 13 percent of women smoke. Ertek, 40, became an addict 10 years ago when she was filing for divorce. In an ill-advised practice, she started smoking as a way to make her voice heard. "Because back then I had so much to say, but no one was listening to me," she told Xinhua. Ertek recollected that when she gently told her husband that she wanted a divorce, she was ignored. Neither her parents and friends listened to her. "Smoking gave me some kind of courage," Ertek said. "When I lit up one, I was thinking of myself shouting loudly and saying 'Hey listen to me! I am here and I have something to say'." However, later she realized that what she felt about smoking was nothing but a pure illusion. It took her two years to get divorced. Beware of the harmful effects of smoking, Ertek has reduced smoking to one cigarette only with coffee now. Like Ertek, many other Turkish women make a wrong choice when they try to find a way to relax in the male dominant society. This perhaps explains why there are so many women smoking in Turkey. Melehat Uygun, a lady who works as a cleaner, said smoking is a good way to relax, arguing that it creates "a free zone for women" in their lives. "When men feel stressed, they can go out at night, have a drink, go to one of the traditional Turkish coffeehouses which are mostly reserved for them or do whatever they want to do," she explained. "But women, especially those in the slums, can only get relaxed by smoking." "It gives me a relaxation, a sense of freedom, taking my stress out," she said, while lighting up one cigarette on the Taksim Square in central Istanbul. In fact, smoking is prohibited in all indoor workplaces, public areas and on public transport in Turkey. But it seems that these anti-smoking measures have failed to contain smoking, which has become a social and health hazard. The smoking rate in Turkey now has climbed to 30 percent, up from 24 percent in 2015, with the number of daily smokers growing to 17 million from 15 million, found a report released earlier this year. A more worrisome phenomenon is that it was found out that the smoking rate has been rising quickly among those aged between 13 to 15 and girls. Betul Baykal Dinc, a family consultant and sociologist, explained that many Turkish women smoke with a view to securing their places in a patriarchal and male-dominated society. "Until recently smoking was almost only confined to men in society," she told Xinhua. "But now, more and more women are smoking as they regard it as a convenient way to show they are equal or even superior to men." Dinc noted that women living in slums and rural areas are more likely to smoke than those living a better life. "Their lack of self-confidence is higher than others and they are trying to make up that low esteem by smoking," she said. Alev Zorlu, an employee of a design company, said that socializing can easily lead one to acquire the unhealthy habit of smoking. "You light up one with a friend, second one with another friend, and then with a coffee, and then with a drink, and it goes on and on," Zorlu said. "No matter what started your smoking, you suddenly realize that you quickly become an addict," she said. 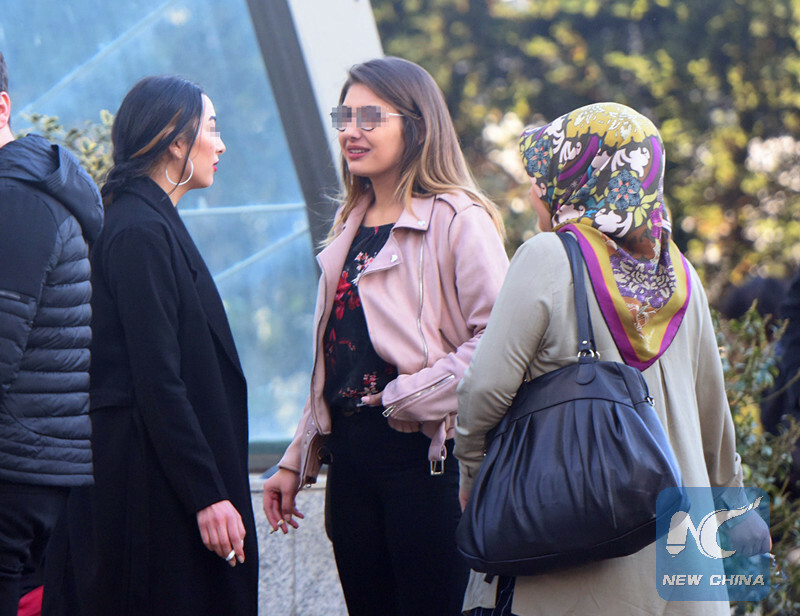 Many young people in Turkey also resort to smoking as a way to gain more personal freedom from their parents, said Oguz Kilinc, a professor with Dokuz Eylul University's Faculty of Medicine and a member of Turkish Thoracic Society Tobacco Control Working Group. "But they do not realize that they voluntarily become slaves to the tobacco industry by smoking or using electronic cigarettes, tobacco products or shisha," Kilinc warned in a recent interview with local media. To deal with the hazard of smoking, Kilinc proposed the Turkish government adopt a series of new anti-smoking measures, including using plain tobacco packaging, prohibiting use of additives and reducing tobacco product varieties, to discourage smoking among Turks.